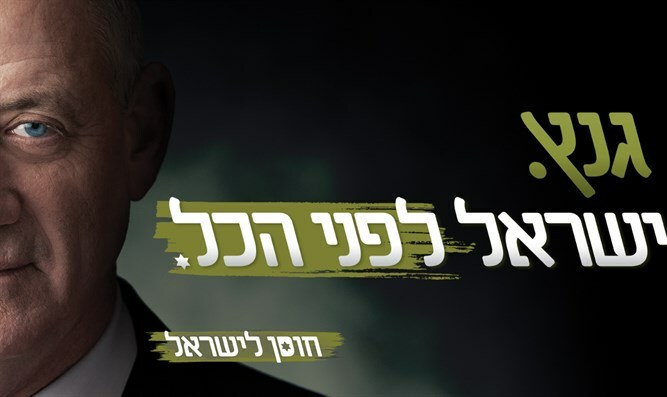 Party of former IDF chief of staff launches social media campaign. The "Israel Resilience" party, led by Benny Gantz, launched its social networking activity on Thursday, revealing its campaign slogan: "Israel before everything." It was reported the day before yesterday that Gantz had met with television host Miki Haimovich as part of his contacts to form his party's Knesset list. According to the report, Haimovitz received a proposal from Gantz to be placed within the top five places on the Knesset list, and she is seriously considering the proposal. Haimovitch, who has been a major contributor for nearly 20 years to Channels 2 and 10, is now recognized as a prominent activist in the fight against eating meat. Miki Haimovich did not deny the meeting but refused to comment further on the matter. Israel Resilience said: "We do not relate to the many names that have been coming up in recent weeks - we do not confirm or deny any name as a matter of policy." At the same time, Channel 10 reported that Gantz recently met with Asaf Zamir, the former deputy mayor of Tel Aviv, who lost the race for mayor to incumbent Ron Huldai. Zamir has not yet responded to Gantz's proposal.